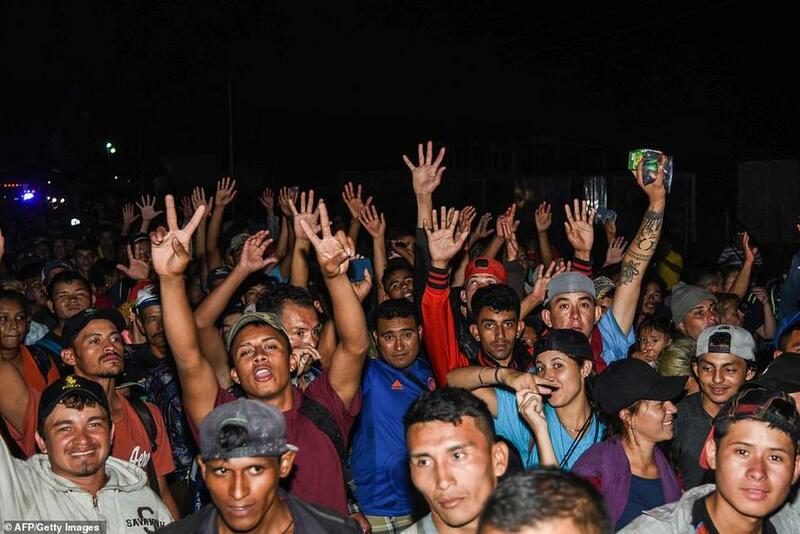 A second caravan of Central American migrants has formed, crossing the border from Honduras into Guatemala on Sunday and on to the town of Chiquimula on Monday night, according to Fox News. 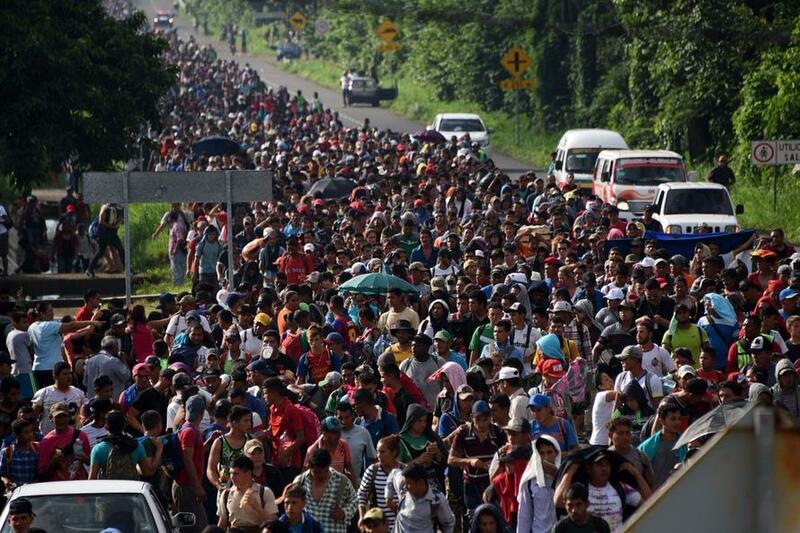 The group is following the first caravan which has been estimated at over 7,000 people by the UN, while Mexican newspaper El Universal says it has swelled to around 14,000. Both caravans have are currently headed north and have been met with minimal resistance from government authorities. 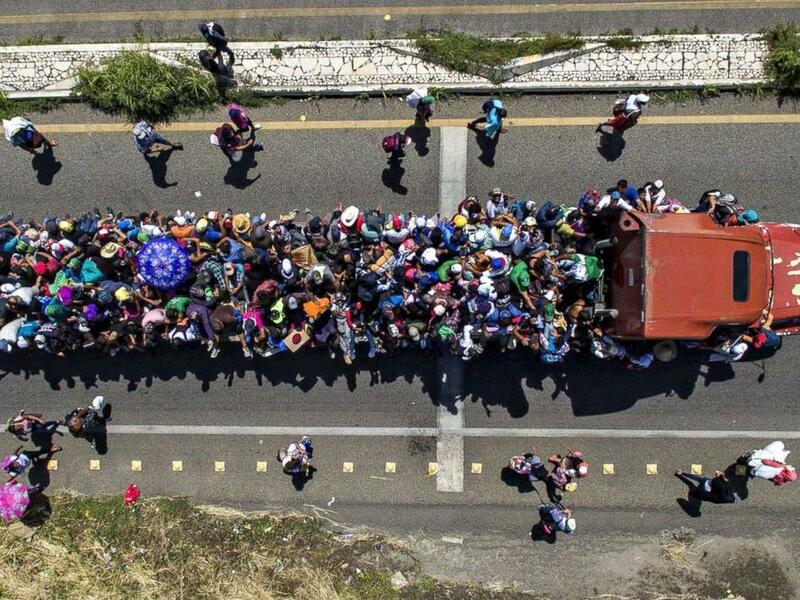 Footage captured by a Fox News crew traveling with the caravan showed trucks handing out food, water and toilet paper to the migrants. "My dream is get to the border if we could. If we can't we are going to have to cross the river some way, some how," a Honduran migrant who identified himself as Edwin told Fox News. As he spoke, a truck with people hanging onto the doors and sides passed behind him. "When I heard about the caravan, I knew it was my chance," Reyes told Fox. President Trump, meanwhile, is preparing to deploy the US military to stop the caravan - claiming in a series of Monday tweets that he has "alerted Border Patrol and Military that this is a National Emergy [sic]"
On Monday night, Trump suggested that the Democrats had "something to do with" the caravan - while making gestures suggesting payments. 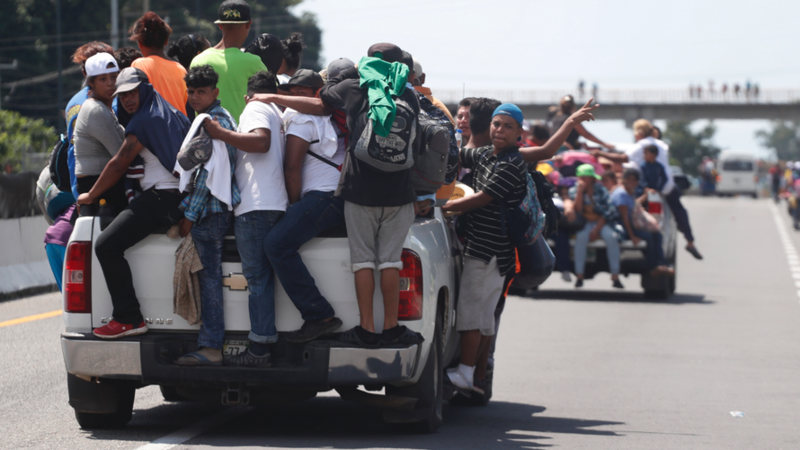 Vice President Mike Pence, meanwhile, told the Washington Post that there are most certainly people of Middle Eastern descent in the crowd, while Honduran President Juan Orlando Hernández told him that the migrant caravan was "financed by Venezuela," according to Breitbart's Joshua Caplan. Former Trump campaign adviser Barry Bennett told the Washington Post that the caravan was a "political gift" for the GOP right before midterms. "I wish they were carrying heroin. I wish we had thought of it. It speaks to the dearth of our creativity, unfortunately,” said Bennett, adding "There are 7,000 people marching toward the U.S. border. One party wants to let them in. The other party wants to keep them out." 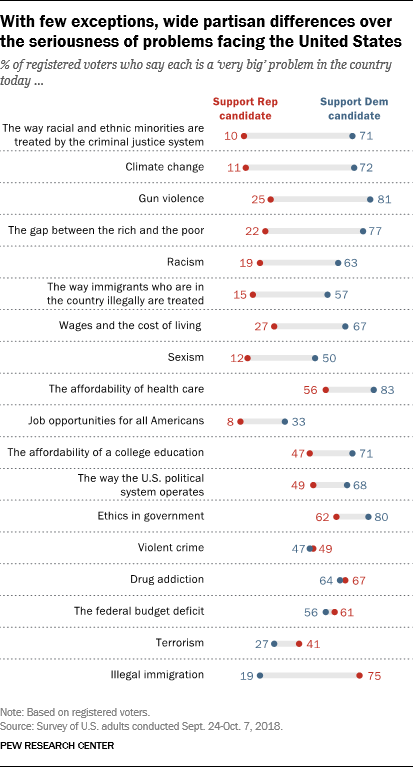 According to an October 15 Pew Research poll, 75% of Republican voters consider illegal immigration a "very big" problem, while only 19% of Democrats consider it a top concern.